Do you know what’s more important than the amount of traffic your WordPress blog receives? The conversion rate of your WordPress blog. When starting a blog, most people immerse themselves into developing a content strategy that focuses on writing the right content and driving traffic. Amidst all these tasks they forget about getting the basics of blog conversion rate optimisation first. This is especially necessary in the beginning stages when traffic is low as you need to have a strategy that will convert more of the traffic into subscribers. These tips will be useful for both those who are just getting started with their new WP blog and those who are already generating a good amount of traffic. Your blog’s loading time will directly affect its conversion rate. The faster it loads, the more leads it will generate. 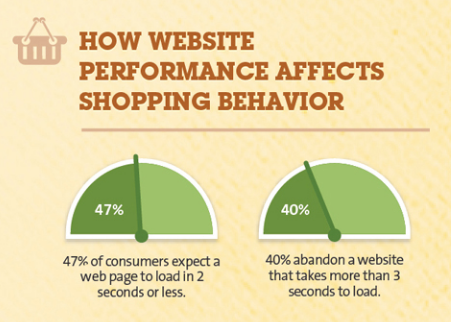 According to Kissmetrics, 47% of people expect a page to load within 2 seconds or less. As every second passes, more and more people will abandon it. These abandonments are the potential leads you are missing out on. a) Switch your hosting: One of the culprits that could be affecting your loading times is your website’s hosting. To improve speed, you need to first move to a more robust hosting service. For a quick overview of the fasting loading websites, checkout this post on the best WordPress hosting services. WPBeginner, bought and tested out the services. They also created a table where they listed out the load times, to make it easy for you to choose the right one. Choose a service that loads in less than a second. b) Reduce and modify images: The number and size of images can also affect loading time. If you have too many images on your homepage and blog posts, delete them. If all of them are essential to the post, at least reduce their sizes. c) Remove some plugins: Plugins might simplify tasks, but using too many of them can also slow down your WordPress blog. You should limit them to 20. If you have more than these, rank your plugins based on usage and begin deleting the ones you don’t regularly use. One plugin you must not delete is W3 Total Cache as this improves the loading time of your site. d) Get a CDN: CDN which stands for content delivery network is a tool that can speed up your website. They are worth the investment. Try Incapsula’s CDN who also sits on a good IP neighbourhood (they don’t allow spammy sites). Feature box: A feature box is the opt-in form that appears right at the top of your blog. As it will be the first thing people see when they land on any page or blog post, it will convert well. Sidebar form: The sidebar form might not drive as many conversions as the feature box, but it will still get you a good amount of conversions as it too will appear on every page and blog post. Slider: The slider is the opt-in form that slithers in from one of the bottom corners of your website. This movement helps it gather a lot of attention and this in turn convinces people to opt-in. Popups and overlays: If you want to use something more prominent that the slider, you can use a popups and overlays. They are bigger and appear right at the centre of the site. There are so many types of popups you can install. End of post form: The end of post form appears below all the blog posts on your blog. 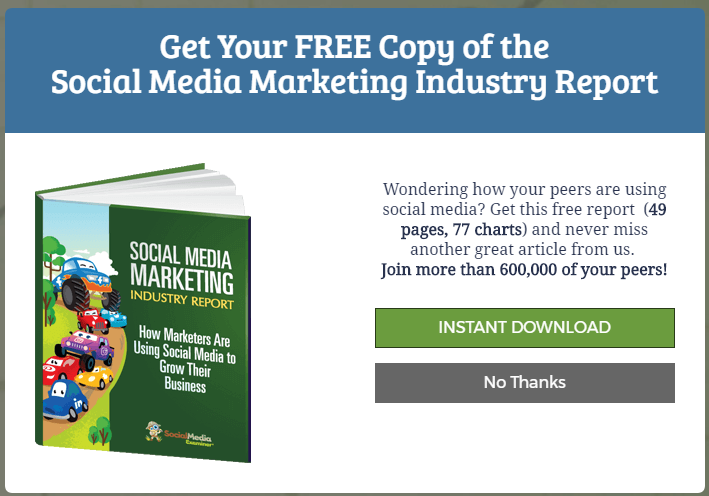 A blog that has installed several opt-in forms is Social Media Examiner. If you visit their blog, you will find popups, sliders, end of post forms, a feature box, etc. This has helped them amass 600,000+ subscribers. These forms can be easily created by WPForms, a drag and drop WP form builder you can use for pretty much any use case mentioned above. 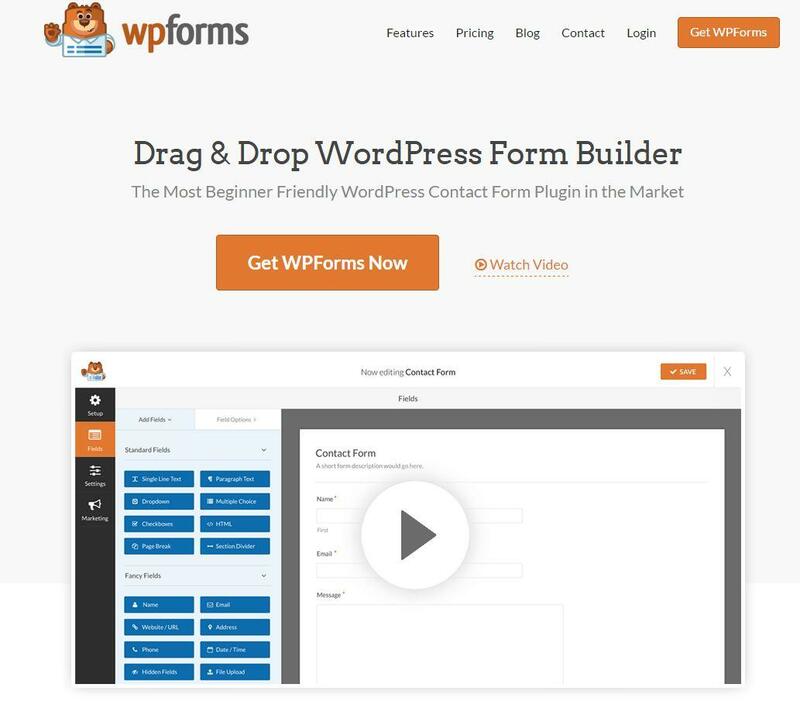 What’s good about WPForms is that it’s designed specifically for WordPress and that it takes literally 3 minutes to create a form. Almost all blogs bribe people into opting in by using a lead magnet because it works better than asking people to plainly sign up to a newsletter. But if you want to get even higher conversions, you can create several lead magnets. Instead of using the same lead magnet on all your opt-in forms, you can create a handful and place a different one on a different opt-in form. A great lead generation tool would be Optinmonster. What it does, is basically design and place lead generation forms in your websites without having to hire a develop. 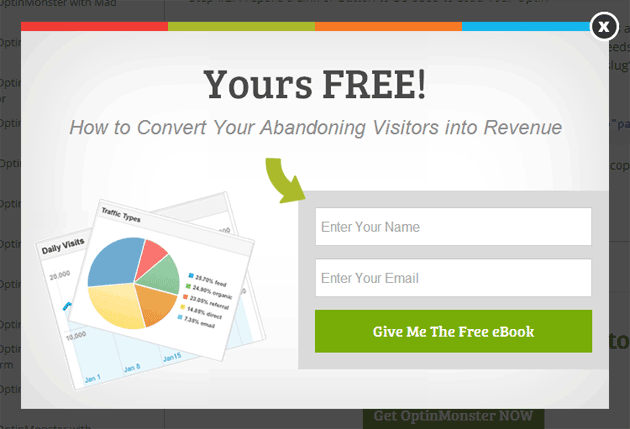 OptinMonster also A/B tests your lead capture forms so you know what works better. Lastly, it integrates to popular email marketing platforms such as GetResponse and MailChimp. You could also promote the most relevant lead magnet on the most relevant blog posts. Another option is to create a content upgrade. This is where you create a lead magnet for that specific blog post and place a link to sign up for it in the blog post itself. This lead magnet could be a checklist, video or just a PDF version of the blog post. They can lift your conversion rates immensely as the offer is very specific. Brian Dean was able to increase his conversion rate by 785% with a content upgrade. 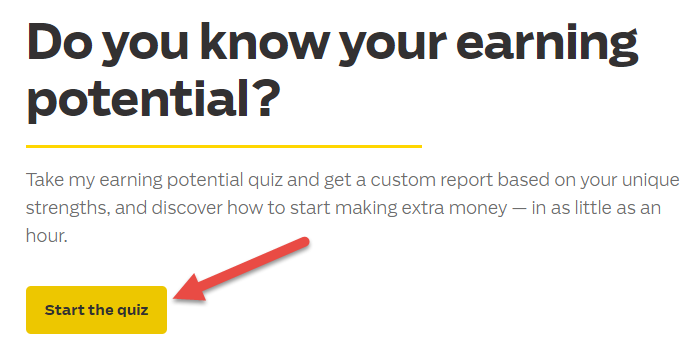 Another method you can use to increase conversions using very specific lead magnets is quizzes. This is where people answer a few questions on your website and at the end of the quiz they are taken to a page where they can sign up to a lead magnet which is suggested based on the questions they answered. As people have already invested some of their time, they will be very likely to sign up. To see a quiz in action, visit the I will Teach You to Be Rich home page. Click on ‘Start the quiz’ and take part in it. You will notice that at the end you will only be shown a lead magnet you want to sign up for. You can implement similar techniques when you create one on your blog. As aforementioned, every person who lands on your website will behave differently. Therefore, just because an opt-in strategy worked for someone else, doesn’t mean an exact replica of it will work on your WordPress blog too. It is good take ideas from another site and implement it on your blog, but don’t leave it there. Measure the results this new method produces to see if the conversion rates are good enough. Then make several modifications and test them out with the help of split tests till you come up with your own version of the strategy. This way of testing and measuring everything will get you the highest conversion rates. This won’t take much of your time either as opt-in plugins offer analytics and split testing features that let you measure things with ease. These are the 4 ways to increase the conversion rate of your WordPress blog. Always start by checking the loading time as this is a notorious culprit. If your site is taking too long to load, switch to a better hosting service immediately. After that add opt-in forms that ask people to sign up in exchange for a lead magnet. Once this is done you should split test and measure the conversion rates of your opt-in forms until you create the best version. How do you increase the conversion rate of your WordPress blog? Did I forget to share any important tips? Please leave your comments below.